Environmental protection for the Beeliar wetlands is one step closer today after the introduction of a Bill into Parliament to rezone 34 hectares of wetland from Primary Regional Roads to Parks and Recreation, preserving it for future generations. The land, part of a larger reservation the previous government planned to raze to build the flawed Perth Freight Link, is proposed to be rezoned under the Metropolitan Region Scheme so it can no longer be used to construct a road. Planning Minister Rita Saffioti tabled the Metropolitan Region Scheme (Beeliar Wetlands) Bill 2018 in State Parliament today, the next step towards ensuring the sensitive wetland area is made into a designated site of regional ecological significance. The introduction of this Bill reinforces the Government’s commitment to the people of Western Australia to discontinue the Perth Freight Link. Rehabilitation works to address the previous government’s environmental vandalism of the site – when it cleared hectares of land during the election campaign despite widespread community opposition to the project – are still ongoing. Consideration of the appropriate zoning for a portion of land reserved for Primary Regional Roads to the west of North Lake Road will be subject to public consultation on the most appropriate use. Work on planning for future freight demand is well underway, with the Government currently in the detailed planning phase on a number of freight solutions including investigations into new intermodal terminals, the Westport Taskforce’s vision for an Outer Harbour and upgrades to High Street in Fremantle. In January of this year, the State Government also increased the container rail subsidy from $30 to $50, to encourage more freight on rail. The policy has increased the percentage of freight on rail from about 16 per cent to 18.3 per cent. Close to 102,000, 20-foot equivalent units (TEU) were moved by rail between January and September this year, compared with about 82,000 TEU in the same period last year. 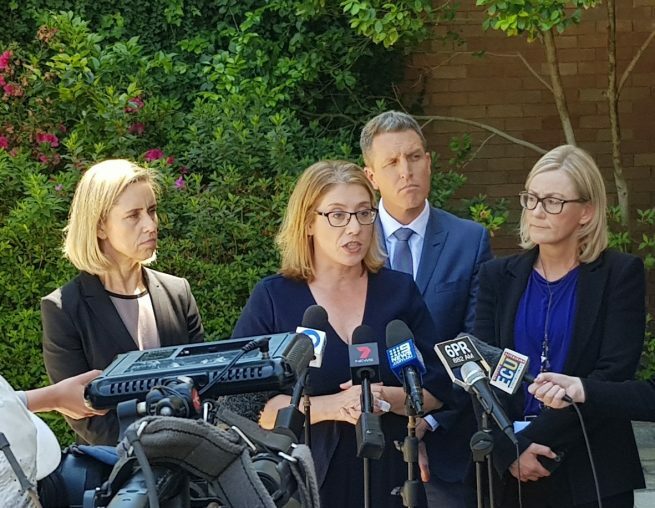 “The public gave us a mandate when they elected the McGowan State Government that the Perth Freight Link had to go,” said Planning Minister Rita Saffioti. “It was a deeply flawed, controversial project that I am pleased has been laid to rest. “The people of this area and wider Perth made it very clear – they don’t want a road through these wetlands, and this Bill solidifies our commitment to restoring this land for the community. Environment Minister Stephen Dawson said, “These wetlands have significant ecological value, with diverse and rare flora and fauna – including migratory birds – they also have a substantial cultural significance for local Aboriginal people. “This land should never have been considered a suitable site for a massive arterial freight route. State Member for Fremantle Simone McGurk MLA believes this is a victory for everyone who fought to protect our community and local environment. “Labor made a promise to this community and we’re keeping it. “We’re protecting our wetlands and ensuring that Roe 8 is never resurrected.